GOODLETTSVILLE, Tenn. — Dollar General Corp. has purchased 41 former Walmart Express locations in 11 states. Dollar General said Wednesday that it expects to relocate 40 Dollar General stores into the acquired sites by October, and the deep discount retailer will also enter one new market through the deal. Financial terms of the transaction were not disclosed. “Dollar General is excited to add these locations to our existing store base,” Dollar General chief executive officer Todd Vasos said in a statement. “We look forward to the opportunity to better serve our customers in these communities by continuing to provide the convenience and value they expect from Dollar General. Dollar General said the newly relocated stores will feature the retailer’s DG16 layout with additional sales floor square feet, including expanded offerings of fresh meat and produce. Thirty-seven of the stores will include fueling stations. 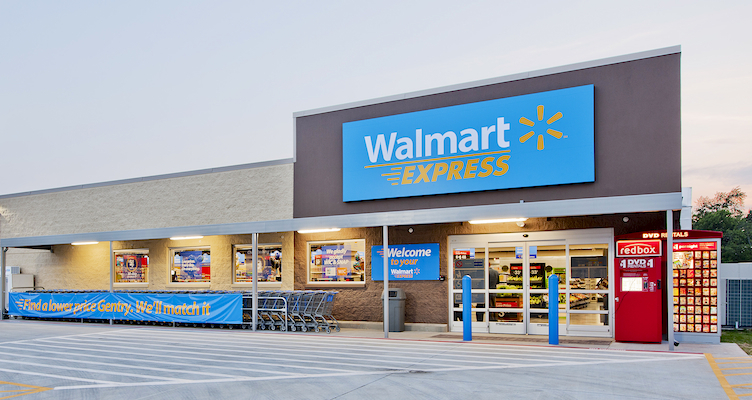 The acquired Walmart Express locations include stores in Alabama (three), Arkansas (two), Florida (one), Georgia (six), Kansas (three), Louisiana (three), Mississippi (five), North Carolina (12), Oklahoma (four), South Carolina (one) and Tennessee (one). Only a store in Coal Hill, Ark., will be a new Dollar General location, rather than a relocation of an existing store. As of April 29, Dollar General operated 12,719 stores in 43 states. In mid-January, Walmart announced plans to shut all of its 102 Walmart Express stores in the United States as part of a larger store-closing program. Walmart said it was ending the test of the Walmart Express format, launched in 2011, and instead will focus on its Supercenter and Neighborhood Market formats, as well on expanding its e-commerce business and expanding its Pickup services.